Our degree program has a strong focus on applied engineering. Students can gain practical experience and test new theories by becoming part of one of the several groups at Offenburg performing research on energy topics. Besides, Southwest Germany is famous for energy research. Offenburg University continues to pursue its own research, but collaborative activities with institutions like Fraunhofer ISE and Karlsruhe Institute of Technology play an increasingly crucial role. Source: Huber, K., Bollin, E. eta al. : Operation Analysis and Energy Evaluation of a Solar Thermal System Assisting the Air Conditioning of an Office/Administration Building. Energy consumption in buildings accounts for a major share of primary energy consumption worldwide. Research and development of more energy efficient buildings will lower the impact of the construction sector on the traditional energy sector. Investigations into the application of large-scale solar thermal facilities for space heating and cooling are currently in progress. The improvement of operation modes through the application of model-predictive control is also a current topic under investigation. Germany is a country with limited solar energy resources. Therefore, biomass feedstock is a very important source of renewable energy. At Offenburg University, research is performed on the thermal and biochemical conversion of biomass. Special attention is given to the conversion of solid biomass into biogas that can be fed into the gas grid. 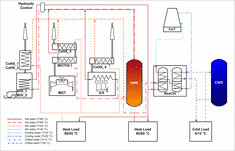 The figure shows a test rig, where the biogas yield of fermenting processes is investigated by varying different parameters (e.g. the composition of the substrate). Prof. Jochum and Dr. Wilke are both active researchers in biomass conversion and ECM lecturers. Research on energy systems is very important in order to find ways to reduce primary usage. There are a variety of multifaceted questions regarding the future of decentralized energy systems. An example such as "How can we effectively deal with fluctuating energy supply and reverse energy flow", and similar questions are investigated within the cooperative graduate school “Small scale renewable energy systems“ (abbreviated: KleE). 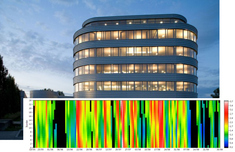 KleE is a collaboration between the University of Freiburg, Offenburg University, and Fraunhofer Institutes ISE and IPM (Freiburg). Within KleE more than 12 PhD students are researching possible ways to increase the overall share of energy generated by small scale renewable energy systems. Current efforts are aimed at improving advanced energy converters and by taking into consideration interaction with society. Prof. Treffinger, who is lecturing on hydro and wind power and also on energy system modeling and simulation and Prof. Bollin, lecturer on solar energy are supervisors of the graduate school. 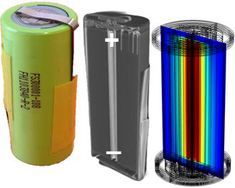 Lithium-ion battery: Cylindrical cell, computer tomography analysis, and simulated temperature distribution.